Thanks to a fabulous teacher Miss (almost) Five is all about alphabet sounds, letters and words at the moment – she walks around the house sounding out simple CVC words, identifying the beginning sound of names and objects like a it’s a game and her attempts at writing are so much fun – featuring lots of meaningful letter-sound representations. To encourage her interest we are playing all sorts of phonics games with letters, sounds and words, including one of her favourites – BAM! which you can find out how to play here. 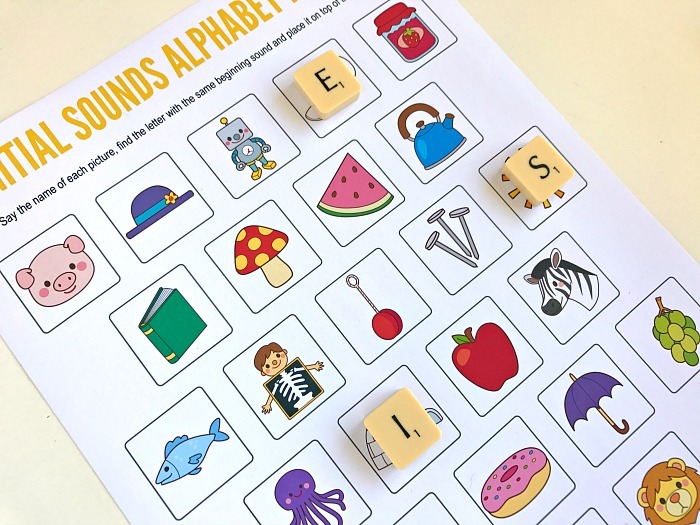 To be doubly sure that she has a good grasp of all of the most common sounds that our alphabet letters make in the initial position, I created this printable beginning sounds matching game. It can be played with a complete alphabet set of any letter tokens – letter beads, magnets, Scrabble letters or these fun letter jewels – the choice is yours. 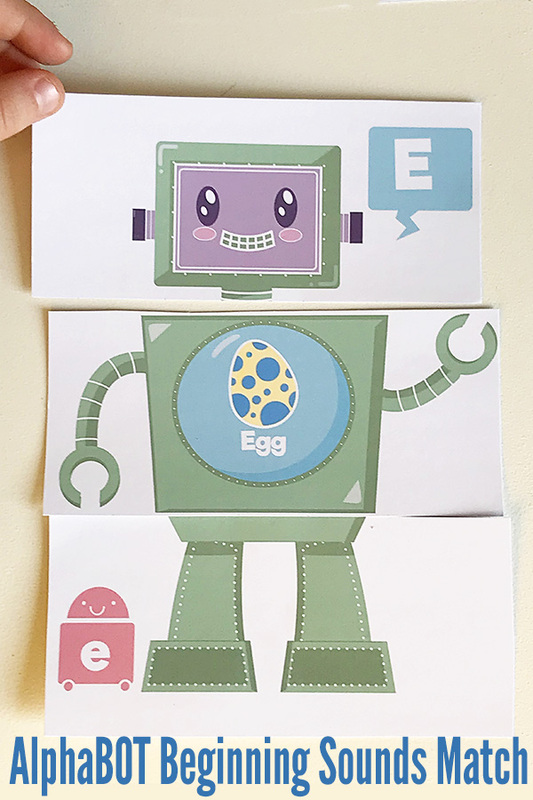 And it’s super simple to play – have your child say the name of each picture and then find the letter with the same beginning sound and place it on top of the picture. 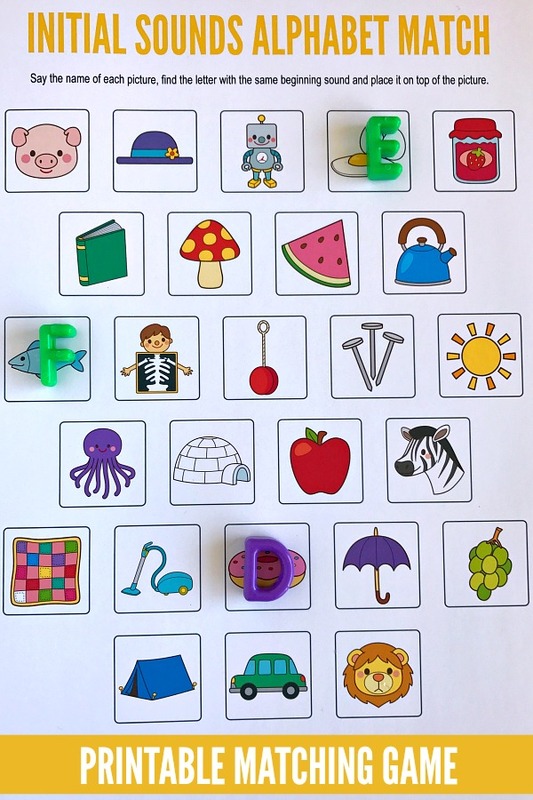 Click here to download: Initial Sounds Alphabet Matching Game. Save the PDF to your computer. Open the PDF and print. When printing, select “Fit to printable area” (or similar) to ensure the page fits with your printer type and local paper size (these have been created at A4 size). For durability, print onto matte photo paper or lightweight cardstock and laminate. Personal, non commercial use only. Graphics by LittleRedsClipArt.